The United Nations Humanitarian Air Service (UNHAS) that enables aid workers to deploy to reach tens of thousands of people in need in the Central African Republic (CAR) is at risk of shutting down due to a shortage of funds, the World Food Program (WFP) that manages the service warned this week. UNHAS, which depends entirely on the support of international donors to finance its operating costs, is in urgent need of $3 million to maintain its service for the next three months and will be grounded after January if there is no immediate injection of funds. CAR has been mired in conflict for years with regular spikes. Roads become impassable and whole parts of the country are often completely cut off from the capital Bangui – leaving UNHAS as the main means of transport to access hard-to-reach locations. 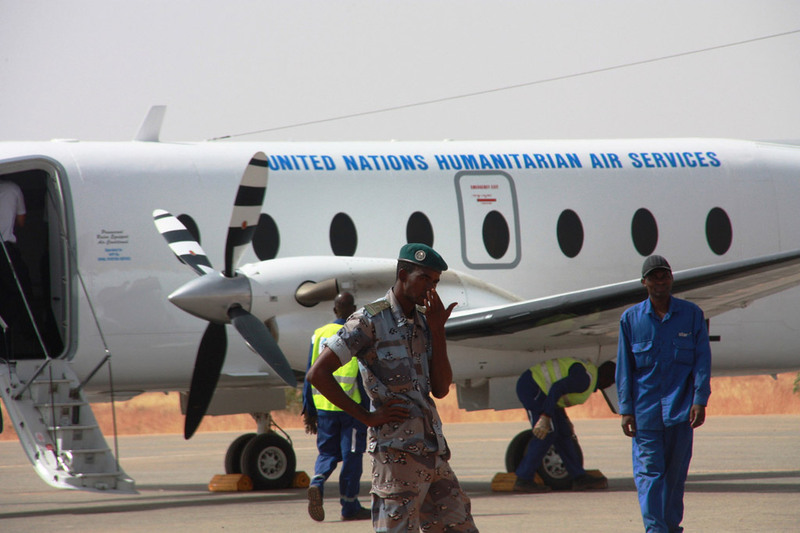 In the month of November alone, following clashes in the central, north-west, east and south-east regions of the country, UNHAS provided transport for over 2,000 aid workers – a record for a single month since it started operations in CAR in 2006. Between January and December UNHAS also carried out 26 medical evacuations and relocated 193 workers from 5 localities. Over half of the country’s population (2.9 million people) remain in need of humanitarian assistance. One in four citizens is displaced either within or outside the country and insecurity continues to destroy livelihoods. From January to November 2018, WFP provided food assistance to more than 800.000 people including children between 6-23 months supported by a malnutrition prevention program. Posted by Geraldine Boechat on December 19, 2018. Filed under Zoom. You can follow any responses to this entry through the RSS 2.0. Both comments and pings are currently closed.